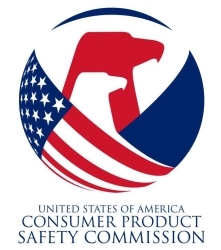 The U.S. Consumer Product Safety Commission (CPSC) has produced this booklet to tell you about formaldehyde and its potential impact on indoor air quality. This booklet describes what formaldehyde is, what products it may be found in, where you may come in contact with it, how exposure to formaldehyde may affect your health, and how you might reduce your exposure to it. Formaldehyde is a colorless, reactive, strong-smelling gas at room temperature. It is one chemical in a large family of chemical compounds called volatile organic compounds (VOCs). The term volatile means that the compounds vaporize or become a gas at room temperature. Formaldehyde can be manufactured as a liquid (formalin) or a solid (paraformaldehyde). Formaldehyde is an important industrial chemical used to make other chemicals and different types of products, such as: home furnishings, household cleaners, paints, textiles, landscape and yard products, medicinal and personal care products, and pesticides. Formaldehyde can be released into the air (off-gas) from materials and products made with it. Formaldehyde exposure may potentially cause a variety of symptoms and adverse health effects, such as eye, nose, throat, and skin irritation, coughing, wheezing, and allergic reactions. Long term exposure to high levels of formaldehyde has been associated with cancer in humans and laboratory animals. Formaldehyde can affect people differently. Some people are very sensitive to formaldehyde at a certain level while others may not have any noticeable reaction to the same level. As discussed above, formaldehyde can induce several symptoms, such as watery eyes, runny nose, burning sensations in the eyes, nose, and throat, and headaches. These symptoms may also occur because of the common cold, the flu, or other pollutants that may be present in the indoor air. In general, if your symptoms lessen when you are away from the home or office but re-occur upon your return, they may be caused by indoor air factors including pollutants, such as formaldehyde. Examine your environment. Ask yourself a few questions to determine if your symptoms may be related to formaldehyde exposure. * Have the flooring or cabinets recently been refinished? * Has remodeling occurred using pressed-wood products (i.e., wall paneling)? * Have new cabinets, wall coverings, or furniture been installed? * Has a wood-burning stove or other combustion source been used? * Do you or others smoke indoors? If the answer is yes to any of these questions and you have re-occurring symptoms as described above, you could have been exposed to formaldehyde. Therefore, you may want to contact your physician and/or state or local health department for further assistance. * Installing furniture or cabinets that contain a high percentage of panel surface and edges that are laminated or coated. Unlaminated or uncoated (raw) panels of pressed wood products will generally emit more formaldehyde than those that are laminated or coated. * Installing alternative products not made with urea-formaldehyde glues, such as wood lumber or metal. Formaldehyde is a colourless gas with a pungent, irritating odour. It is used in the production of resins that act as glues for wood products, pulp, paper, glasswool and rockwool. Formaldehyde is found in resins that act as a glue in the manufacture of pressed wood products. Formaldehyde can be released as a vapour, due to off-gassing from products containing formaldehyde-based resins. Formaldehyde release is highest in newly manufactured pressed wood products, and decreases over time. Conditions of high humidity, heating or agitation (including sawing or grinding) of formaldehyde based products can lead to increased levels of formaldehyde in the air. Concentrations of free formaldehyde in resins used in the manufacture of pressed wood products vary.